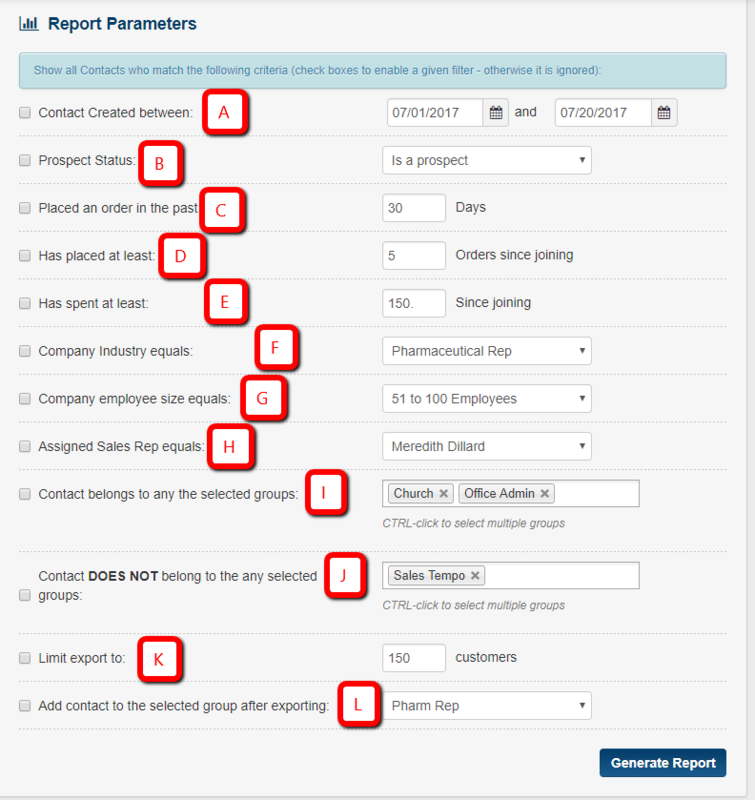 In this article we will go over the Contact List Report. 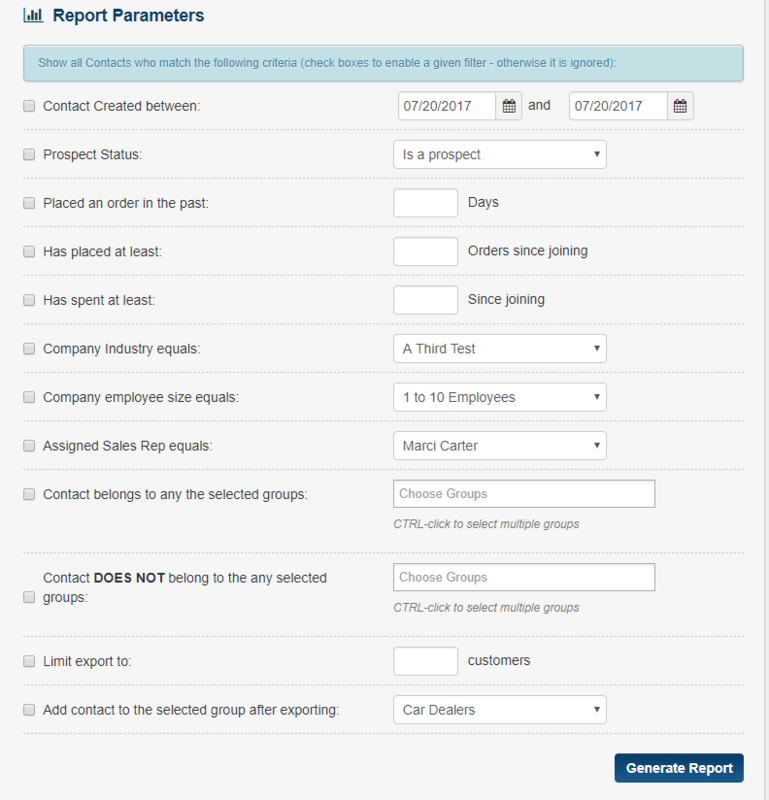 The contact list will allow you to view all the contacts that you have in your CRM tab. 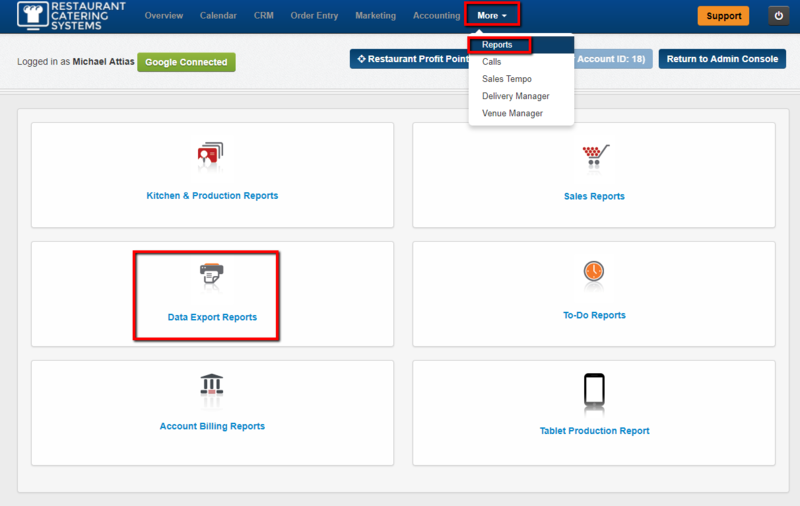 You will have the option for parameters to view specific customers. 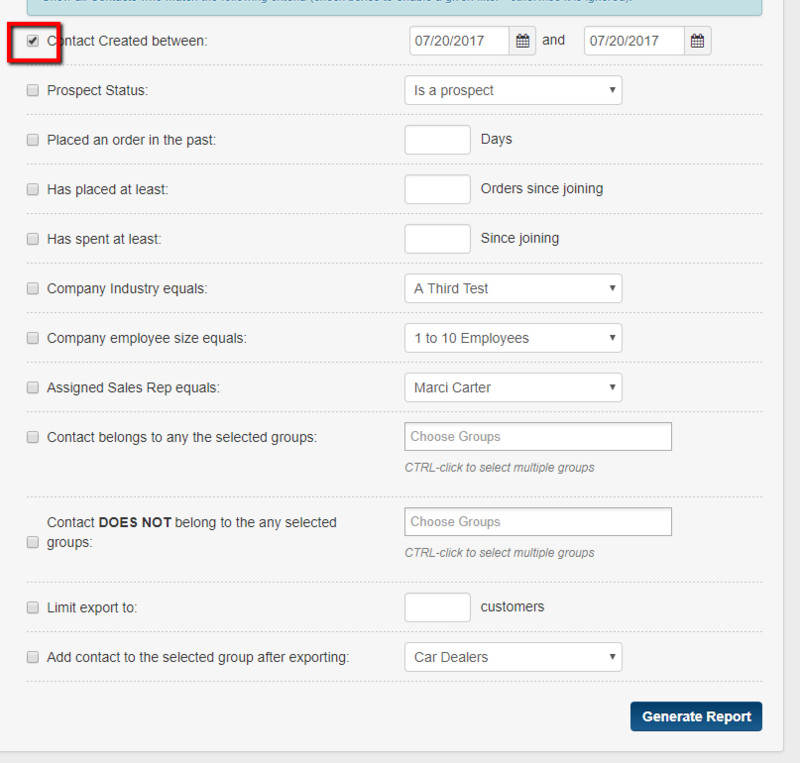 Once all the parameter have been selected then the Excel file will show: Company Name, First and Last Name, Date the Contact was Created, Address, Phone, Fax, Email and Date of Birth. 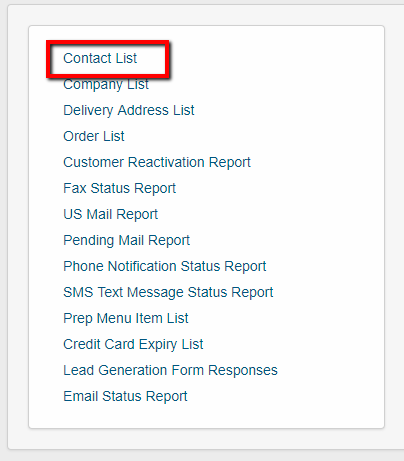 2 - Next click on the Contact List link. You have now learned how to use the Contact List Report.